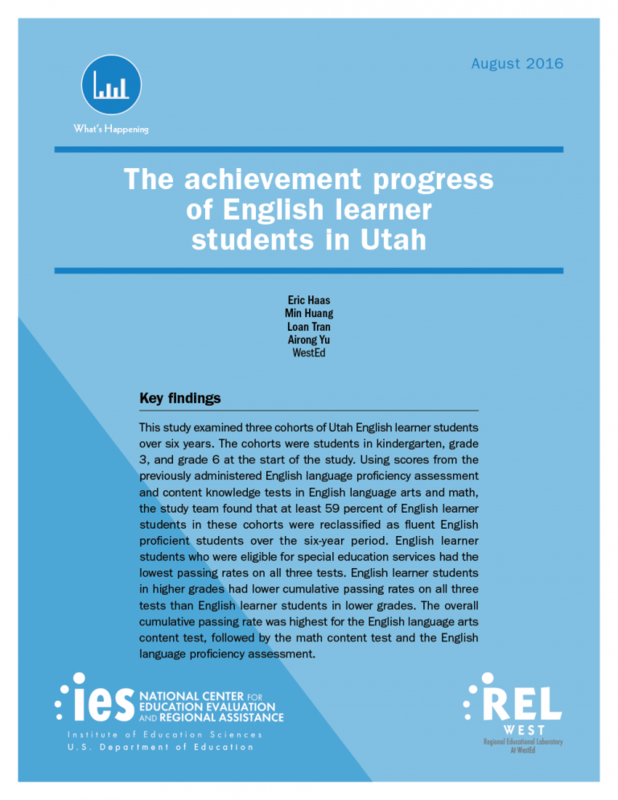 With states increasingly committed to better understanding and supporting the academic progress of their English learner students, this REL West study offers insights into how these students progressed in the state of Utah from 2006/07 through 2011/12. 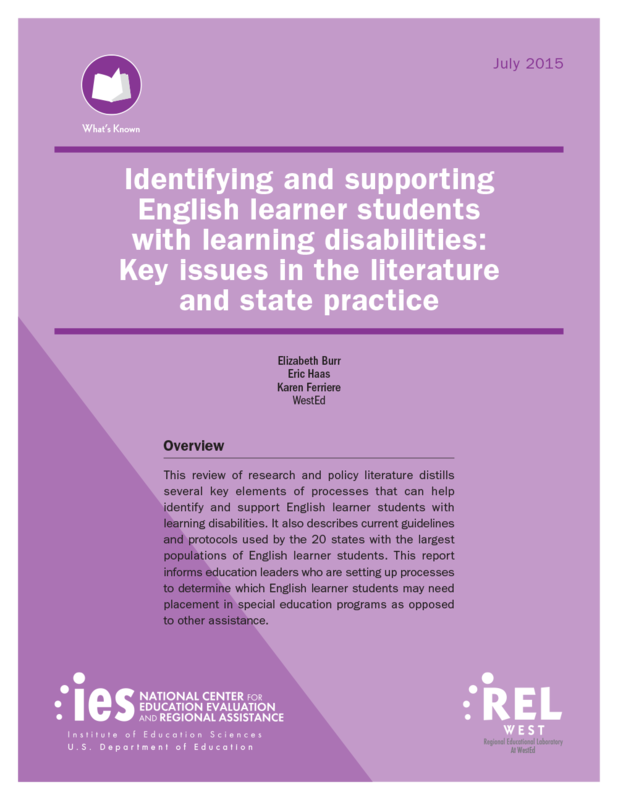 This study followed cohorts of English learner students — kindergarten, grades 3, and grades 6 — to assess their progress in English proficiency and English language arts and math content knowledge. Learn strategies for identifying, placing, and serving English language learner students with learning disabilities. 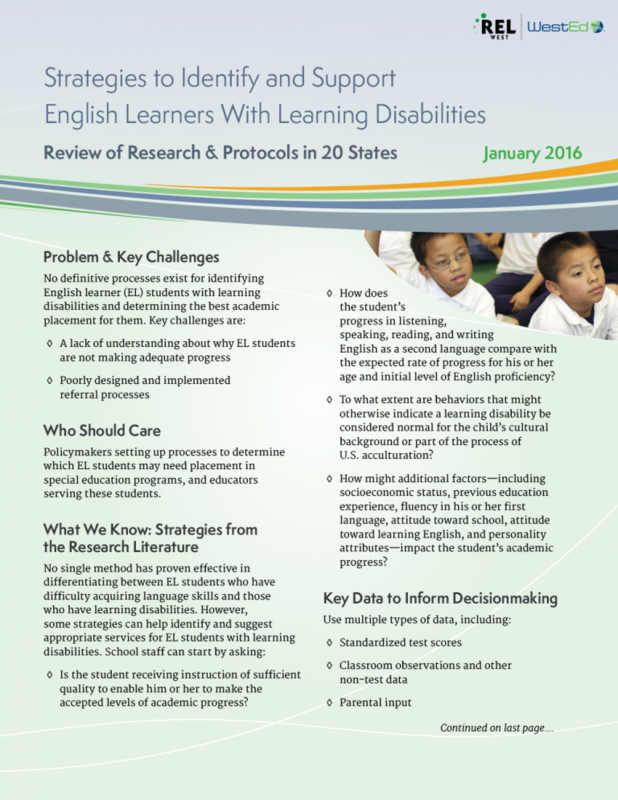 This Regional Educational Laboratory West (REL West) report aims to help policymakers develop procedures for identifying, assessing, and placing English learner students who may or may not have learning disabilities. 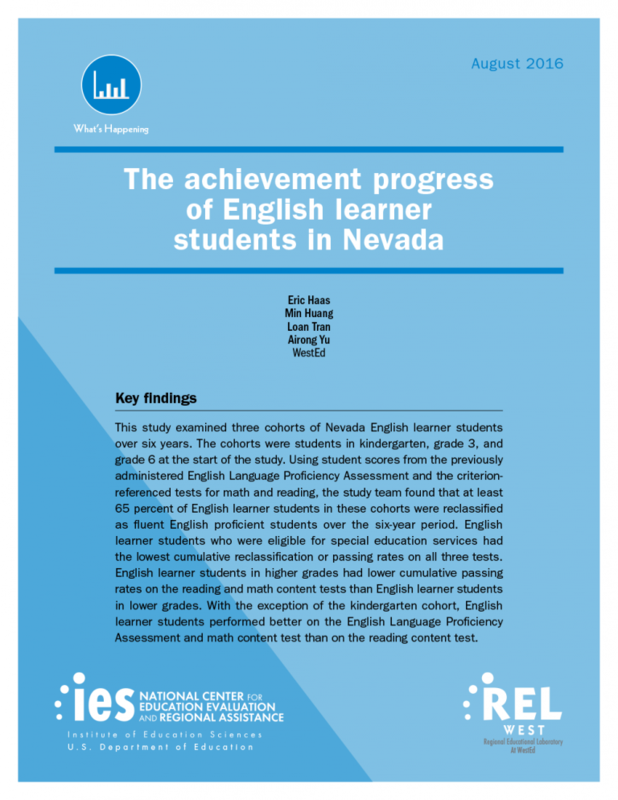 Learn about the progress of English learner students in Nevada over six school years. REL West Bridge EventsREL West hosts free public events to bridge research, policy, and practice and to build capacity across the region. REL West: “Ask A REL”Interested in the latest in education research, K–12? Need other related information? Ask A REL — a free service providing references, referrals, and brief responses to education questions.